1. The plant have relatively larger processing capacities of 30 MT per day. 2. 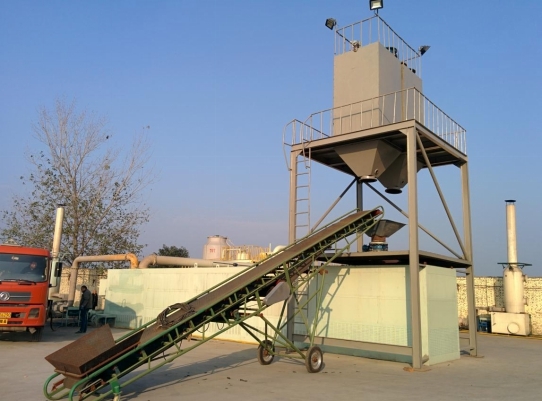 The plant can achieve feeding of materials and discharging of slags automatically, and can also finish the two steps at the same time, which not only saves time, but also saves fuel. 3. The reactor of the plant is stable and not rotary, which makes the temperature rise and pyrolysis react quickly. This special design makes the whole pyrolysis process efficient and can also save much heating materials. 4. The plant is equipped with safety device (alarm for over temperature and pressure, auto pressure releasing system, extra gas recycling system, fire fighting devices) and advanced dedusting system (water washing, water spray, ceramic ring adsorption and activated carbon adsorption), which will guarantee safety and no pollution in production. 5. The plant can run for 24 hours a day without a stop and needn’t to be cooled before the second batch. 6. 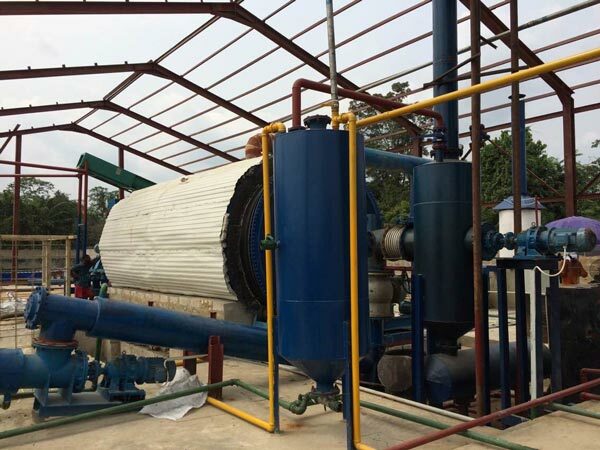 The plant adopts new type of condensers which has larger cooling area and better cooling effect. In addition, we can provide special catalyst, which is made from 24 chemicals. The catalyst can not only reduce sulfur content and density of oil, but also improve its flavor and color. For the continuous pyrolysis plant, the tire pre-treatment equipment is necessary, and the whole working process is as follows. 1. The pre-treated tires will firstly be conveyed to the moving horizontal pyrolysis reactor through feeder system. 2. Then the tyres start to pyrolysis and oil gas will be generated when temperature rises up to 100 degrees. 3. Then the oil gas will be cooled down by spray cooling system, it would be liquefied and then go into the oil tank. At the same time, some gas that can not be condensed to oil will come into hot air circulation heating system by secondary fire retardant damper. 4. Then the gas will be recycled for heating reactor as gas material. The exhaust gas goes to the strong spray dedusting system for removing pollution, then the released gas will be environmental and can be discharged to the air. 5. After finishing oil production, the slag will be discharged automatically by two sealed discharging systems. 1. The latest new heating structure that combines the advantages of burning the reactor directly and heating the main reactor by hot air. 2. 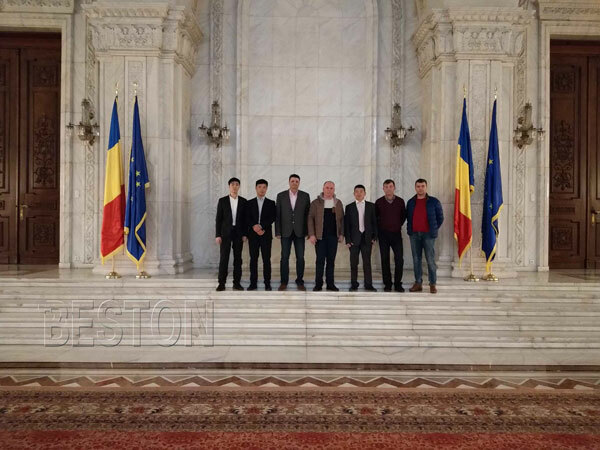 The technology of avoiding the reactor of being burnt through by reforming the furnace, which will lengthen the life span of the main reactor for 5 to 8 years and save quite amount of money for customers to maintain and update the plant. 3. 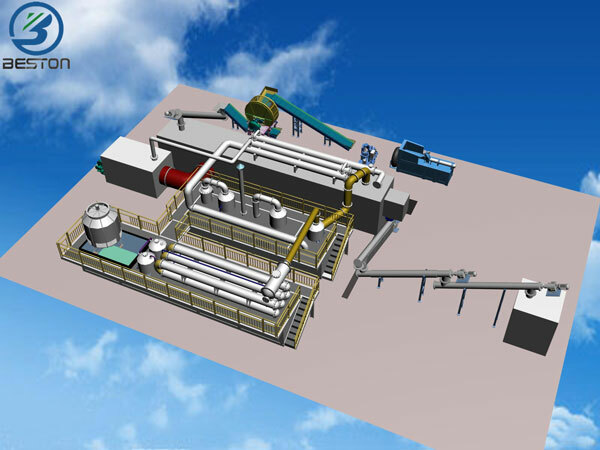 The technology of improving the oil yield by another 5% compared with the traditional plant. 4. The technology of guaranteeing 100% safety in the whole working process. 5. The technology of ensuring the released gas reach the European pollution control standards.